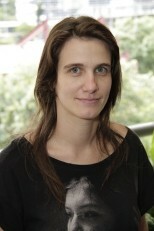 Gisele L. Pappa is an Associate Professor at the Computer Science Department of Federal University of Minas Gerais (UFMG). She obtained her PhD in Computer Science at University of Kent in 2007, with the thesis “Automatically Evolving Rule Induction Algorithms using Grammar-based Genetic Programming”. She holds a MSc in Applied Informatics from the Catholic University of Parana (PUC-PR), and a BSc in Computer Science from the State University of Maringa (UEM).